Over 15% of all patients seen in the emergency department (ED) arrive via emergency medical services (EMS).1 This represents over 20 million visits annually. For this reason, improvement and expansion of evidence based interventions within the prehospital setting should continue to be explored. In this month’s “Resident Journal Review,” we focus on diagnostic, therapeutic, and logistical updates within prehospital EMS care. Management of pain after injury in the prehospital setting is important both for patient comfort and patient outcomes. The use of opioid analgesia, however, may be limited due to side effects including nausea and respiratory depression. Ducassé JL, Siksik G, Durand-Béchu M, et al. Nitrous oxide for early analgesia in the emergency setting: A randomized, double-blind multicenter prehospital Trial. Acad Emerg Med. 2013;20:178-84. This prospective, randomized, multicenter, double-blind trial sought to demonstrate the efficacy of using 50% nitrous oxide (N2O) and oxygen to treat moderate acute traumatic pain. Patients with contraindications to N2O, previous use of analgesic medication, or pregnancy were excluded. Adult patients with moderate traumatic acute pain who met the required inclusion criteria were enrolled over a one-year period. Patients were randomly assigned to receive either premixed 50% N2O and oxygen (N2O group) or medical air (MA group). Fifteen minutes after the beginning of inhalation all patients received 50% N2O and oxygen until ED arrival. The primary endpoint was percentage of patients with pain relief (pain score <3) 15 minutes (T15) after initiation of inhalation. Fifteen minutes after the inhalation, 67% of the patients in the N2O group had a pain score of three or lower versus 27% of those in the MA group (95% CI 17% to 63%, p<0.0001). The median pain scores were significantly lower in the N2O group at T15 (2 vs 5; p<0.0001). All adverse events were reversible with no other complications five minutes after the end of inhalation. This study has several limitations but is interesting in that it suggests N2O may be a possible alternative to opioids in prehospital in patients with traumatic pain. Jennings PA, Cameron P, Bernard S, et al. Morphine and ketamine is superior to morphine alone for out-of-hospital trauma analgesia: A randomized controlled trial. Ann Emerg Med. 2012;59:497-503. This prospective, randomized, controlled, open-label study compared IV ketamine with IV morphine in reducing prehospital traumatic pain. After initial pain control with one dose of morphine, eligible patients were then randomized to receive either additional morphine every five minutes or ketamine every three minutes. Paramedics used clinical judgment to determine dosing on a per patient basis. Patients continued to receive morphine or ketamine according to schedule until they became pain free, arrived at the ED, or experienced a serious adverse event. The primary outcome was change in pain score upon arrival to the ED. Over three years, 135 patients were enrolled. There were no significant baseline differences between groups. Mean pain score change was -5.6 (95% CI -6.2 to -5.0) in the ketamine group compared with -3.2 (95% CI -3.2 to -1.6) in the morphine group. The ketamine group did experience more adverse effects, 39% of patients. Only 14% of the patients in the morphine group experienced an adverse effect. A major limitation of this study is that only the patients, not the clinicians, were blinded. Additionally, the study did not explain the choice of dosing intervals or ranges for the drugs. The more frequent dosing of ketamine may have biased patients to believe their pain was being more aggressively managed. This study indicates that ketamine may be superior to morphine for prehospital analgesia though this may be limited by an increase in adverse events effects. While the use of NPPV in all causes of acute respiratory failure (ARF) is still controversial, its use in acute cardiogenic pulmonary edema (ACPE) and COPD is well-supported, with NPPV decreasing both intubation and mortality.2-5 It seems intuitive that earlier respiratory support, i.e., initiation in the prehospital setting, would further improve outcomes, but existing studies are too small to confirm or refute this theory. Williams TA, Finn J, Perkins GD, et al. Prehospital continuous positive airway pressure for acute respiratory failure: A systematic review and meta-analysis. Prehosp Emerg Care. 2013;17:261-73. This systematic review and meta-analysis examined the treatment of ambulance-transported patients with ARF, including only studies that compared standard prehospital care to standard care plus the initiation of continuous positive airway pressure (CPAP). The final study analysis included five studies with a total of 1,002 patients, 471 in the CPAP group and 531 in the standard care group. There was no difference between groups in terms of age or gender. Pooled analysis demonstrated a 69% overall reduction in rate of intubation (OR 0.31, 95% CI 0.19-0.51) and a 59% decrease in overall mortality (OR 0.41, 95% CI 0.19-0.87) in the CPAP group. There was no difference in hospital or ICU LOS between groups. An improvement in respiratory rate was documented in the CPAP arm in most studies. There was no difference between groups for reported adverse outcomes. Though there are several limitations of this meta-analysis, the results show prehospital CPAP did reduce the overall rate of intubation and decrease mortality. Mal S, McLeod S, Iansavichene A, et al. Effect of out-of-hospital noninvasive positive-pressure support ventilation in adult patients with severe respiratory distress: A systematic review and meta-analysis. Ann Emerg Med. 2014;63:600-607. Rather than focusing only on CPAP, Mal et al., performed a similar meta-analysis that included all types of NPPV, including bilevel positive airway pressure (BIPAP) and pressure-support ventilation (PSV). The primary outcome of interest was the rate of in-hospital mortality, with secondary outcomes of hospital and ICU LOS, rate of subsequent intubations, and rate of complications secondary to NPPV. The authors found seven studies that included a total of 632 patients, 313 randomized to standard treatment, and 319 receiving NPPV in addition to standard therapy for their review. The breakdown of etiologies included 522 patients with ACPE, 81 with COPD, 19 with pneumonia, and 10 with asthma. The final analysis demonstrated a benefit of NPPV with a relative risk of 0.58 for in-hospital mortality (95% CI 0.35-0.95) and number needed to treat (NNT) of 18. Six studies reported on rates of invasive ventilation after NPPV, and again there was a demonstrated benefit in the NPPV group, with a relative risk of 0.37 (95% CI 0.24-0.58) and a NNT of eight. Three studies reported hospital LOS, but only one demonstrated a statistically significant benefit to NPPV, and only one of four studies reported a significant improvement in ICU LOS. The prehospital use of NPPV appears to provide benefits to both morbidity and mortality in ACPE and has been demonstrated to be feasible in a variety of EMS systems. While we still cannot comment on the benefit of prehospital NPPV in asthma and other less-studied pathology, the low rate of adverse events indicates NPPV may be able to be initiated relatively safely in the prehospital setting, irrespective of underlying etiology. Easy to use prediction tools can aid rapid triage of patients in the ED and guide initial workup and therapeutic interventions. One area where these early indicators of serious disease may be beneficial is in the care of patients with, or suspected of, suffering from acute coronary syndrome (ACS). Stengaard C, Sørenson JT, Ladefoged SA, et al. Quantitative point-of-care troponin T measurement for diagnosis and prognosis in patients with a suspected acute myocardial infarction. Am J Cardiol. 2013;112,1361-66. This prospective observational study examined whether measurement of serum troponin level by EMS providers in the prehospital setting could be used as a predictor of diagnosis and prognosis in patients with suspected ACS. In this study, all patients undergoing electrocardiogram (EKG) by EMS providers were included, generally those with a clinical suspicion for ACS. Of 1,099 patients who had an EKG by EMS, 985 were included in the study. The only exclusion criterion was inability to draw blood on scene. Of these, 192 were ultimately diagnosed with an acute myocardial infarct (AMI), but only 73 (39%) of these patients had a positive POCt measurement in the field. Conversely, of the 785 patients not ultimately diagnosed with AMI 34 (5%) had a positive POCt. The highest yearly mortality was 0.38 (0.23-0.65 for 95% CI) for those with positive POCt but without AMI. Patients with positive POCt and diagnosis of AMI had a mortality rate of 0.17 (0.10-0.27 for 95% CI) per year, and patients with negative POCt had mortality rates of 0.06 or less per year regardless of AMI diagnosis. This study successfully demonstrates the feasibility of testing POCt levels in the prehospital setting, however it performed poorly with sensitivity for detecting AMI as nearly 2/3 of those having AMI had negative prehospital POCt. A positive POCt was associated with an increased risk of mortality per year suggesting a positive value may have a role as a prognostic factor. It is also unclear from the present study what benefit troponin testing in a prehospital setting may impart, as opposed to waiting until ED arrival. More work is required to determine if this early testing has an impact on patient morbidity or mortality. According to The American Hospital Association, 38% of all EDs in the US reported capacity issues, either operating “at capacity” or “over capacity” in 2010. This has lead to many hospitals, especially in urban settings, using ambulance diversions as a technique to reduce crowding. In this same year, 50% of all urban hospitals spent some time on diversion. Because of this, many jurisdictions have moved to ban diversions. O’Keefe SD, Bibi S, Rubin-Smith JE, et al. “No Diversion”: A qualitative study of emergency medicine leaders in Boston, MA, and the effects of a statewide diversion ban policy. Ann Emerg Med. 2014;63:589-597.e7. 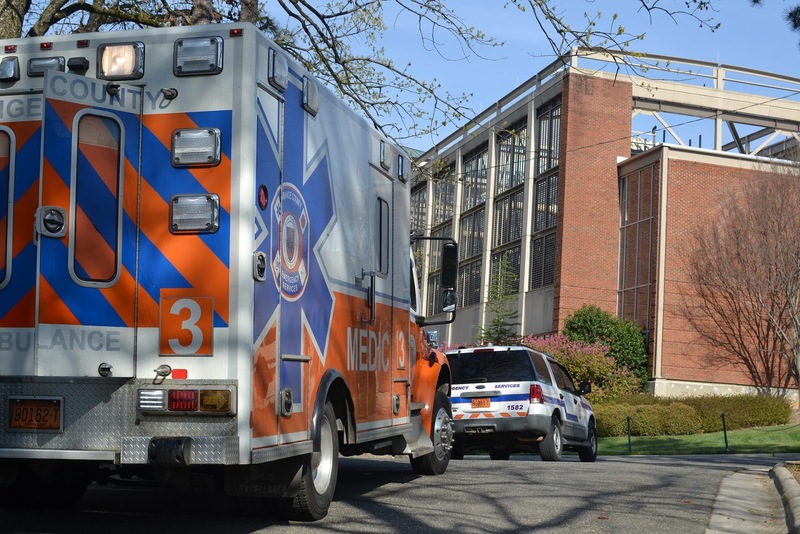 This article examined the attitudes of ED staff about the perceived effects of a ban on ambulance diversions on patients, providers and working relationships in a large urban EMS system. The authors conducted a qualitative study, interviewing key individuals within ED leadership in semi-structured interviews both pre- and post-ban. Eighteen total interviews were conducted, seven physician ED directors, two physician designees and nine registered nurse leaders participated. All participants were from one of nine ambulance-receiving hospitals within the City of Boston. The authors found a number of overlying themes in regards to diversion: adverse effect on patients, adverse effect on providers, patient satisfaction and conflict among providers. The effect on the patient during diversion was noted by most of those interviewed. During times of diversion, many patients were diverted away from the hospital with which they were most familiar. This was viewed as negatively impacting patient satisfaction as well as quality of care. During the diversion ban, this phenomenon was noted to have occurred less. From an ED provider standpoint, most interviewees stated that some providers felt negatively about going on diversion as refusing patients is fundamentally in opposition to the principles of emergency care. This led to feelings of job dissatisfaction, low morale, and high staff turnover most notably among nurses. However, during times of crowding, some members of the staff would request to go on diversion as a way to regroup. This would sometimes place colleagues at odds about whether or not diversion was appropriate, a sign of weakness or absolutely necessary. After the ban, these conflicts were eliminated, as diversion was simply not an option. 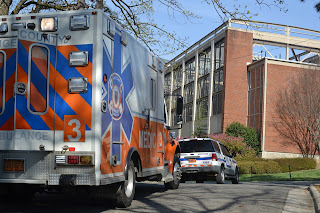 The diversion ban also improved prehospital and ED provider relationships. Prior to the ban, prehospital providers would get negative feedback (both verbal and nonverbal) from various ED staff members if a patient was brought in during a period of diversion. These negative interactions had been nearly eliminated during the ban. Relationships between hospital administration and ED leadership also benefited as the ban had the administration thinking about capacity issues in broader terms with diversion no longer available. Although this small, qualitative study, which did not look at patient outcomes, was limited its results do suggest that a ban on ambulance diversion had a favorable effect. 1. CDC. National hospital ambulatory medical care survey: 2010 emergency department summary tables. http://wwwcdcgov/nchs/achd/web_tableshtm#namcs. 2010. 2. Lim WJ, Mohammed Akram R, Carson KV, et al. Non-invasive positive pressure ventilation for treatment of respiratory failure due to severe acute exacerbations of asthma. Cochrane Database Syst Rev. 2012 Dec;12:CD004360. 3. Carrillo A, Gonzalez-Diaz G, Ferrer M, et al. Non-invasive ventilation in community-acquired pneumonia and severe acute respiratory failure. Intensive Care Med. 2012 Mar;38(3):458-66. 4. Vital FM, Saconato H, Ladeira MT, et al. Non-invasive positive pressure ventilation (CPAP or bilevel NPPV) for cardiogenic pulmonary edema. Cochrane Database Syst Rev. 2008 Jul 16;(3):CD005351. 5. Ram FS, Lightowler JV, Wedzicha JA. Non-invasive positive pressure ventilation for treatment of respiratory failure due to exacerbations of chronic obstructive pulmonary disease. Cochrane Database Syst Rev. 2003;(1):CD004104. Update in: Cochrane Database Syst Rev. 2004;(1):CD004104. Consider an Away Elective. Now is Your Chance!